Candidates in Rancho Cucamonga for complete dentures have lost most or all of their teeth. A partial denture is suitable for those who have some natural teeth remaining. A denture improves chewing ability and speech, and provides support for facial muscles. It will greatly enhance the facial appearance and smile. 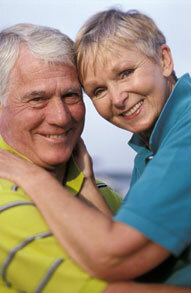 For more information on Dentures in the Rancho Cucamonga, CA area call Renaissance Dental Care at (909) 987-0040 today!